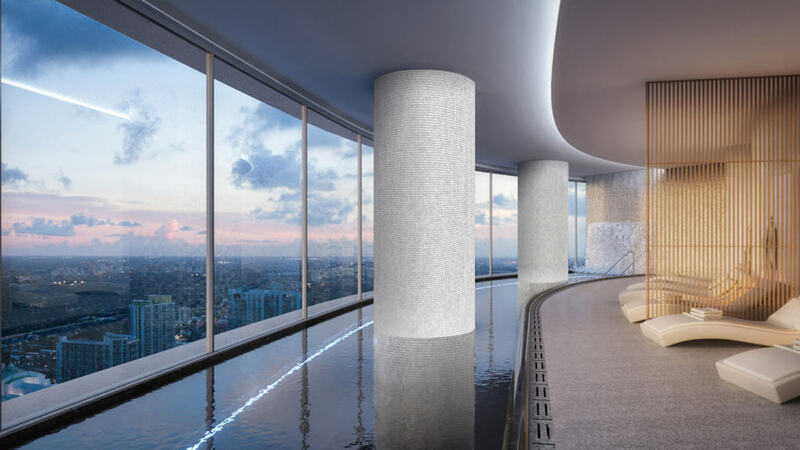 After venturing into the worlds of clothing, watches and boats, the next non-automotive frontier for premium automotive brands may be luxury housing. 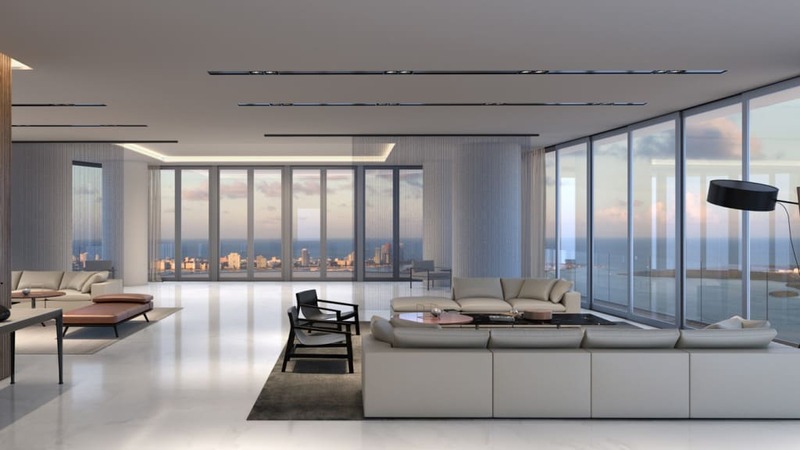 Porsche (or at least Porsche Design) is now in the residential high rise biz in the suburbs of Miami, and Aston Martin is following in ze Germans’ wheeltracks, even setting up shop in the same part of the world! 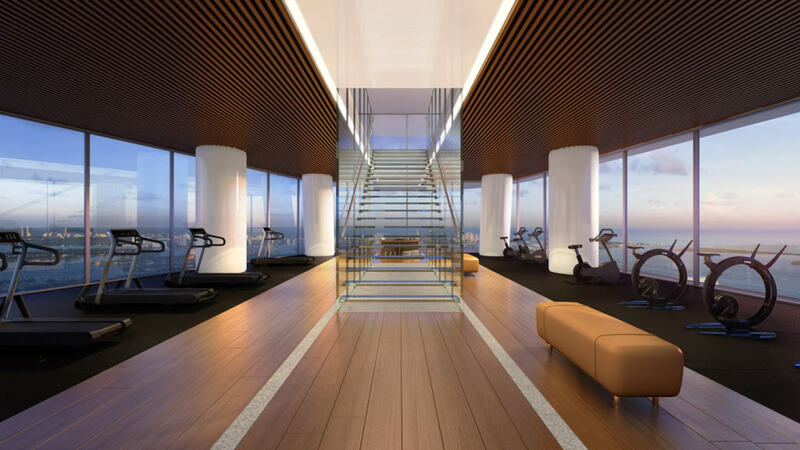 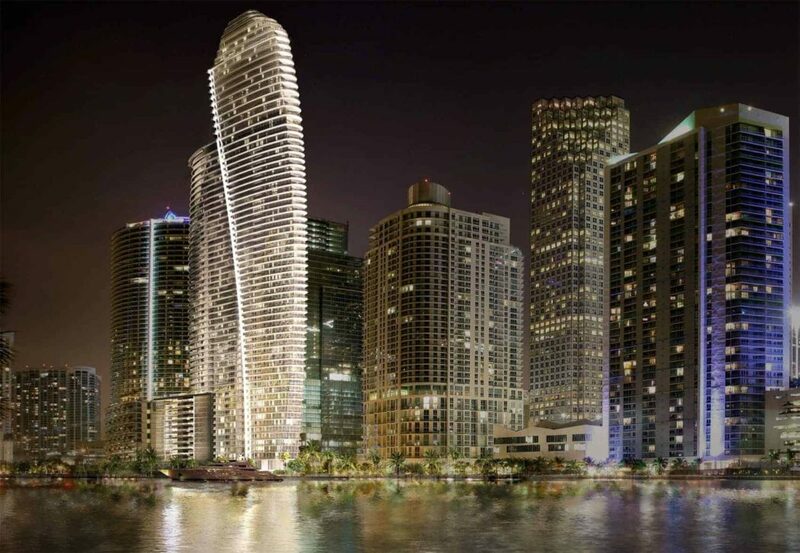 The Aston Martin Residences will occupy a 66-story tower currently under construction on Biscayne Boulevard right on the mouth of the Miami River. 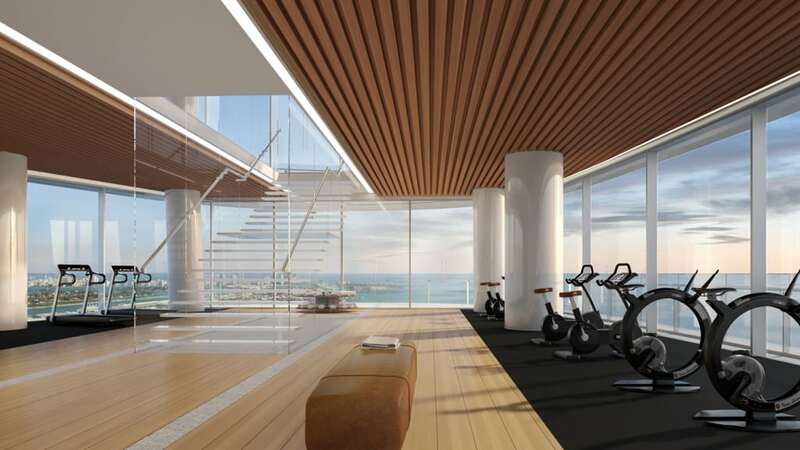 Its 391 units will range from $700,000 condos to lavish penthouses priced at $14 million and up. 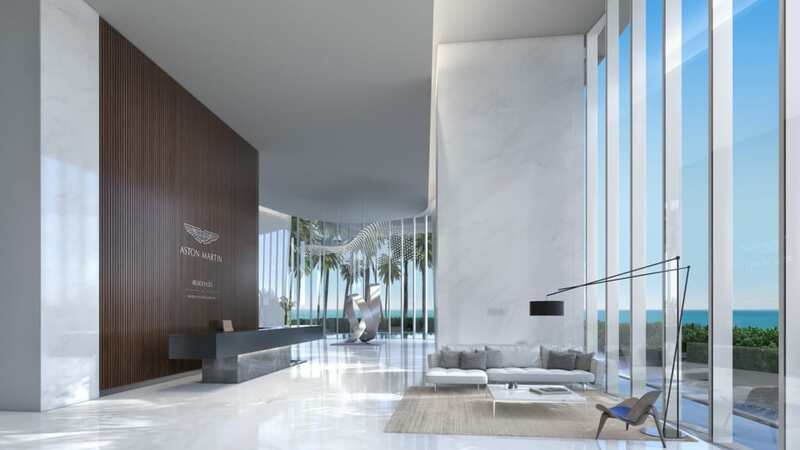 As the above renderings show, Aston Martin Chief Creative Officer Marek Reichman and his team have already been busy adapting colors and materials found in the company’s cars for a decidedly more spacious and stationary space that will also feature a pair of lobbies, a full-service spa, two-story fitness center and an indoor outdoor pool when the building opens in 2021.